Involving the study of: Translation and interpreting skills with modules on technology, commercial use, technical vocabulary, theory, and ethics. From the 11th to the 16th of June, 2018, I took part in an exclusive international research project whereby I engaged in intensive remote interpreting classes aiming at covering all aspects of this type of communication. The project, named SHIFT, or SHaping the Interpreters of the Future and of Today, was funded by the European Union Erasmus Programme in collaboration with several European universities. Working with fellow professionals, tutors, and students from University of Bologna, University of Surrey, University of Granada, and University Pablo de Olavide (Seville), as well as staff from Dualia telephone interpreting and Veasyt video interpreting, several hyper-realistic scenarios were simulated to give interpreting an authentic environment to develop their skills in. I was awarded a certificate of attendance. Two-week intensive course carried out in Valladolid, Spain. The course curriculum was linked with the Instituto Cervantes and involved accent training, grammar studies, and presentation skills. Received C1 qualification upon finishing the course. Since this award I have reached a C2 (close to native) level in my studies. Awarded for producing a website that represents my professional development in its entirety. Awarded via Barton Peveril Sixth Form College whilst I was in attendance at the University of Southampton in order to further pursue Hispanic studies. SDL Trados Studio is a CAT (Computer Assisted Translation) tool used by many translators that manages phrases and terminology translated in previous projects. The software is highly beneficial in the areas of terminology consistency and maintaining source text formatting. I possess an indefinite licence to use this software and its associated MultiTerm plugin. I have used MemoQ, another highly useful CAT tool, for several projects, both large and small, and consider myself to be proficient in its usage. I can also work with your own software or browser-based platform. 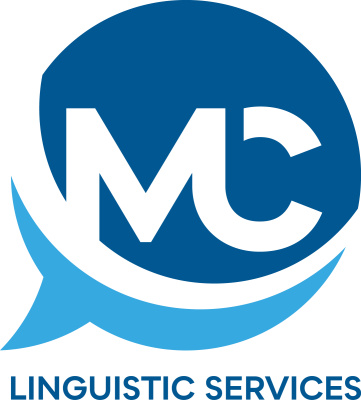 I am a registered member and Student Affiliate of the Chartered Institute of Linguists, an organisation that certifies and supports qualified members of the translation and interpreting profession. I am a registered student member of the Institute of Translation and Interpreting. As a linguistically minded person, I find learning languages to be one of my favourite activities. Currently, I am in the process of studying Turkish, with the hope of nurturing and developing this to a high level for use in my profession. While one of the primary focuses of my Masters programme is to study consecutive interpreting, I recognise the need in the market for flexible interpreters who can be relied upon to perform professionally and competently in both this mode and in simultaneous. Therefore, I have taken it on myself to gather experience in this are, via practice such as the use of booths at my university and via professional development such as seeking training courses. Sharing knowledge and acquiring contacts is of utmost importance in any field where development is constantly ongoing, therefore I feel it is important to network with my fellow interpreters and translators, both highly experienced and new to the field. Consequently, I will endeavour to attend events in the future where this can take place, for example, conferences hosted by the Chartered Institute of Linguistics or the ITI. On the 14th of October 2017 I attended the Language Show Live in London in order to actively engage both with translation agencies and linguistic institutions. The event was a great success, with a large variety of stands offering different perspectives and services for the profession. Through this event, I signed up to be a Student Affiliate member of the Chartered Institute of Linguistics. On the 28th of April 2018 I attended a CIOL-hosted event which explained the voice over industry (Fardous Bahbouh & Daniel Pageon) and the tour guide industry (Katie Belo dos Santos) where I learnt about how to enter these sectors in terms of skills, training, and equipment needed. - "Legal Translation for the Terrified"